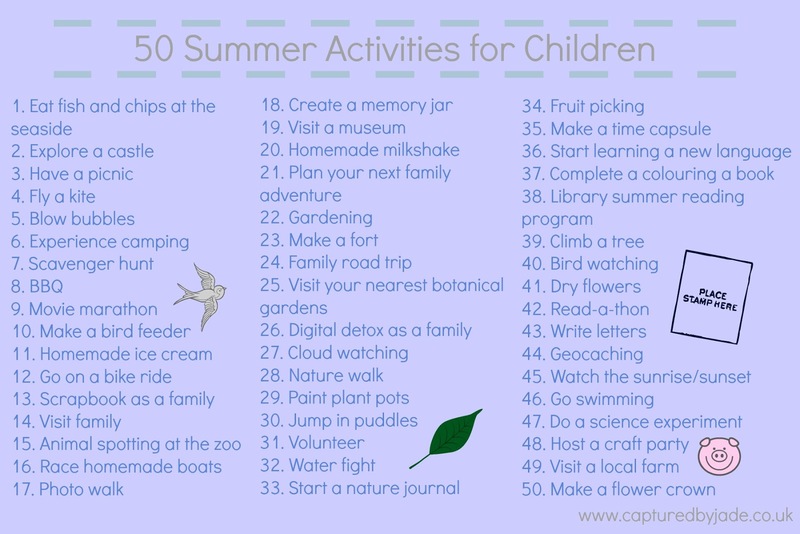 With summer here and the school holidays upon us, I thought I'd share a list of activities that can be enjoyed during the summer months. Whilst it's lovely being able to spend time with our children once school is out, I know those days and weeks can pass quite slowly if not occupied, so I hope this list provides you with some inspiration on those days when you just don't know what to do. The list below was made with younger kids in mind, think under 10's, however these can be applicable for those of all ages as well as some activities that can be enjoyed as a family. A number of the activities featured can be enjoyed year round, but are also great for keeping children entertained during the school holidays. However you're spending the summer holidays, I hope it proves to be a lovely one! ...you sure have a lot to accomplish this summer! Lovely activities that you regularly enjoy! And you, Sara!